Play is very important, especially for those who are developmentally delayed, or lack social skills. However, this is not always easy with a child who is not interested. 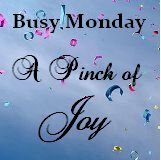 This is my journey of making play matter and ways I have found to hold my son’s attention a little longer. 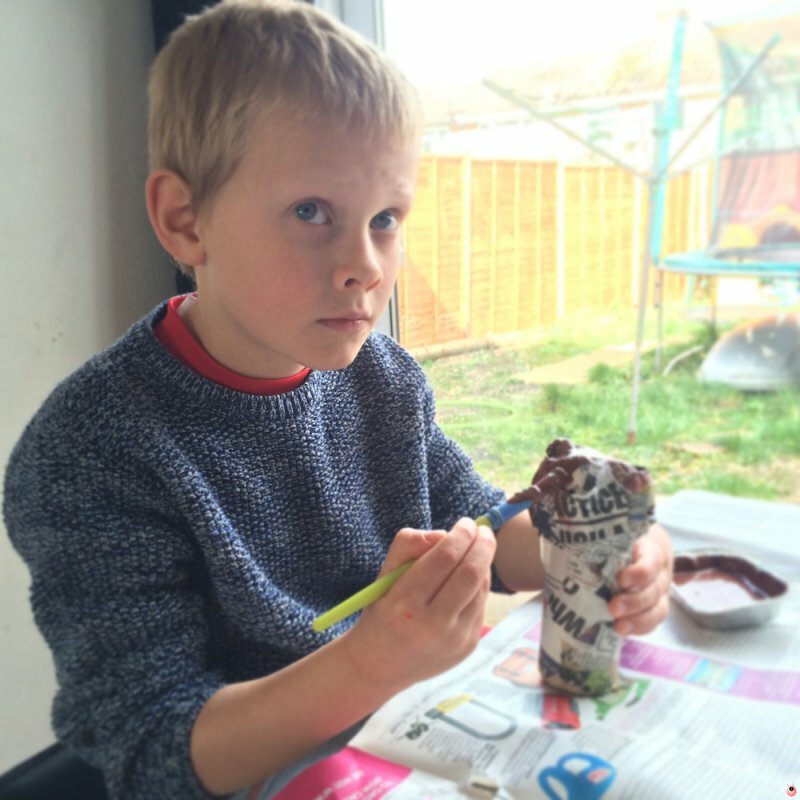 Papier Mache is such a great craft idea for The Sensory Seeker – as not only does he get the touch sensation from the paper but also the slime from the glue. It gives him the opportunity to get his hands dirty and build his sense of achievement – as he can easily mould his creation into shape. 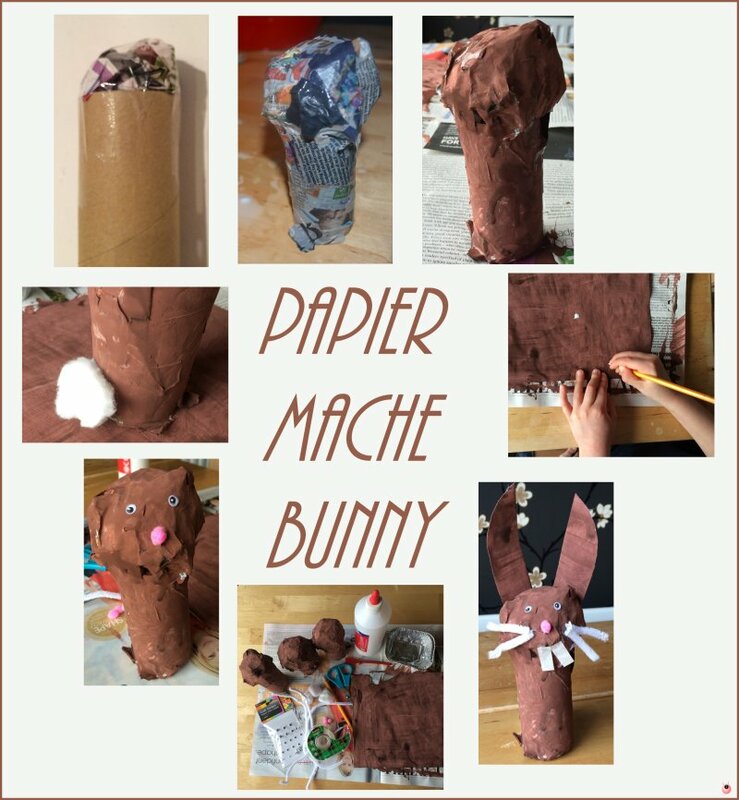 The materials needed for Papier Mache Bunnies are very few. There’s a number of ways of mixing up Papier Mache paste but I simply mixed PVA glue with water. Next we took a toilet roll holder each and stuffed a ball of newspaper inside to form a head – which we secured in place with sellotape. Then we simply covered it all in papier mache – including over the head. 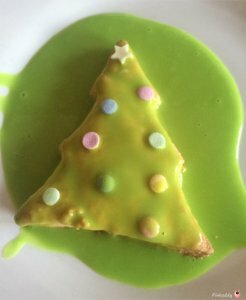 After waiting for that to dry we painted it all over (again great for The Sensory Seeker for tactile but also to help with fine motor (when he used a brush to paint). 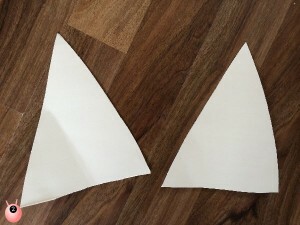 We also painted a white sheet of paper to cut out ears and feet (we later decided against adding on feet). Finally once all the paint was dry we simply glued on googly eyes, whiskers (from pipe cleaners), a cotton wool tail, a pompom nose, and some teeth (made from more white paper). The boys were able to vary what their bunnies looked like by using different coloured noses, making the teeth bigger or smaller, the ears pointing up or floppy. 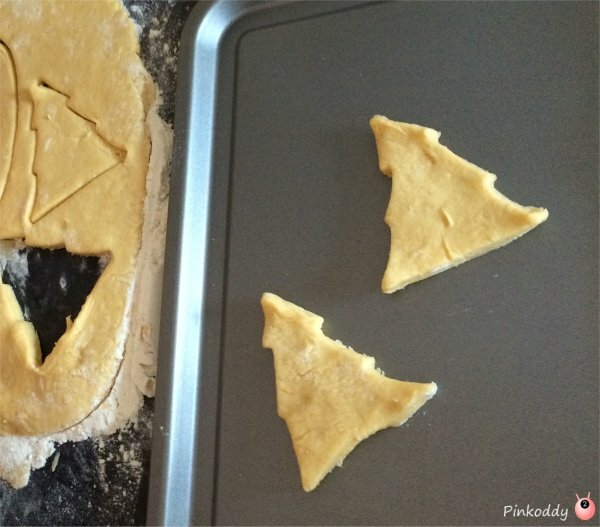 Attention: Listening skills, following instructions, patience waiting for glue to dry. Turn taking: We only had one pencil, set of scissors and The Sensory Seeker needed to wait his turn. Fine motor: sticking the objects on, using a paintbrush, drawing and cutting out the ears. Tactile: Touching all the different materials . Self-Esteem: A sense of achievement and pride. A sense of self through the individuality of changes made to the Papier Mache Bunnies. 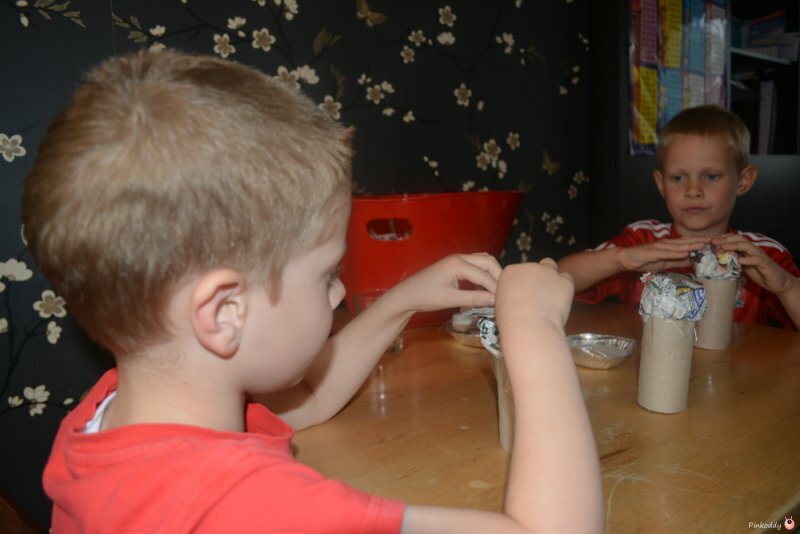 This activity was also good for The Sensory Seeker as it was made in stages – you could make the activity last longer by building up more layers of papier mache if you chose, but it also good for those with short attention spans as you could do just a few moments at a time. It also appealed to my children of different ages. You could utilise them in an egg hunt by hiding small chocolate eggs inside/underneath them. Halloween can be utilised to help your child with sensory processing disorder deal with some of their difficulties. Halloween games and activities can help the child learn to deal with unpleasant situations, connect with their bodies, and fulfill some of their required Sensory Diet. Of course there is going to be benefits for both the Sensory Seeker and the Sensory Avoider – but I mainly focusing on the Sensory Seeker – as that is what I know most about, as my son is more a Seeker. Halloween definitely is a time to embrace dressing up. 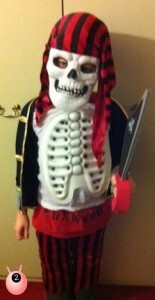 My Sensory Seeker loves nothing better than dressing up. All those different textures, and I think it really is where he is comfortable at using his imagination. Letting them get themselves dressed will also help them with orientation, textures, fastenings (zips, buttons, bows, laces etc). We also have a mirror for him – so that he can see what he looks like. I find that when he uses the mirror he also uses different expressions – and he can see what that looks like too. Or you can use face paint – which is fantastic for tactile stimulation. My boys loved this game. Basically get into two teams with the child with Sensory Processing Disorder (or any child) to be the Mummy. Then get the other children to wrap them up. We used toilet paper but you could use bandages or any other white material for a deeper pressure. The winning team can either be the one who has their Mummy all wrapped up the quickest, or have a time limit and the winner is the one who is the most wrapped at the end. If you wanted to add more sensory experiences to it the Mummy could have to run around too. A number of children are scared of the dark, and at Halloween ghosts and monsters are even more likely to frighten them. The Go Away Ghost game can also be beneficial to the child who gets upset when something messy touches them (something in their shoe, a cobweb, a wet leaf, a grain of sand, wet paint); Or the child who is worried about something touching them; the unresponsive child who does not react to what is going on around them; the child who has trouble focusing on an activity, or has trouble making the transition between activities; and when they have trouble with an activity and needs removing. This game is good for their imaginations too. 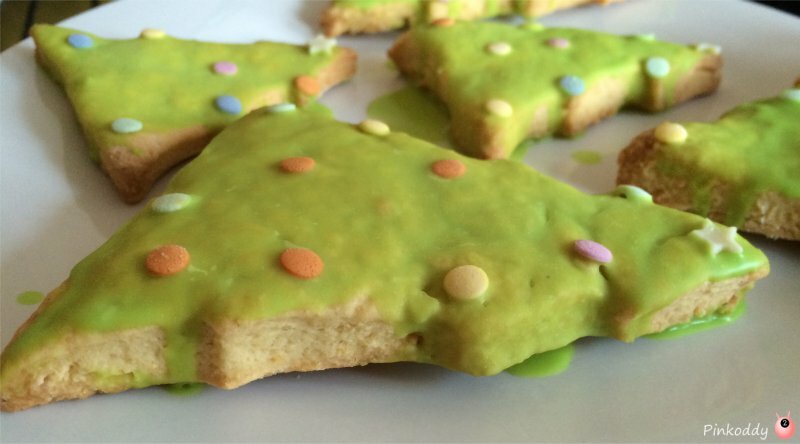 I think this is especially good if your child is like mine in that he struggles with his diet. Sometimes he will not even try touching something just because of its appearance or smell. 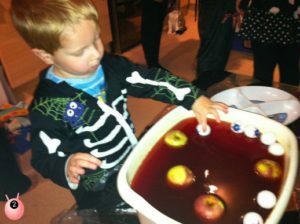 Putting some coloured water in a bowl and throw in some apples is a great way to encourage him to try putting the apple in his mouth because he knows it is a game and he is not expected to eat it. I think this takes the pressure off him. This could be used with black, red and green water – maybe have the 3 different bowls. 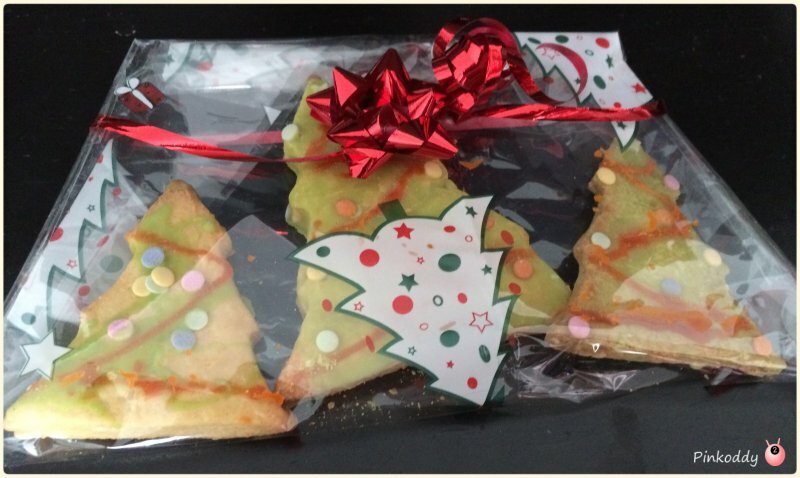 Rewarding with sweets for participating is always a useful incentive I find too. 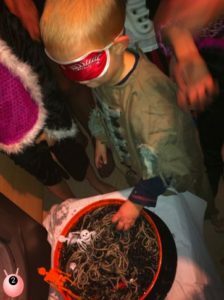 If they are not quite ready for putting their face in what about a game of scary spaghetti – where you place the cooked spaghetti in some jelly with some Halloween toys (eyes, spiders, etc) – and the idea is to put your hand in and pull out a particular Halloween toy to win. This will help them develop their sense of what things feel like, and what shapes they are without their sense of sight. You can do this with or without a face mask – depending on how comfortable they are with it. 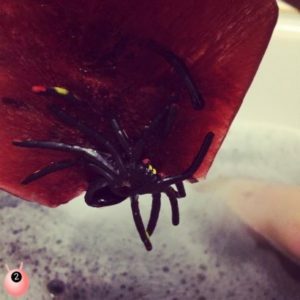 It doesn’t have to be a party with lots of people around – why not try frozen spiders in the bath. Last year my Sensory Seeker loved it. I simply filled tubs with plastic spiders and coloured water. I put them in the freezer and let my Sensory Seeker dissolve them in the bath. 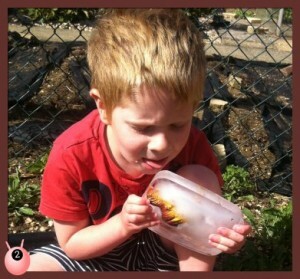 He had a lot of fun and discovered how the blocks of froze spiders disappear in his hot bath. Also how his bath changed colour and the fascination of more and more spiders appearing as the ice dissolved. 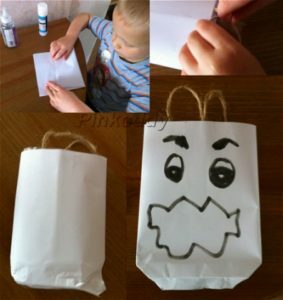 Or why not have a Halloween crafting session. Great for fine motor, textures, etc. 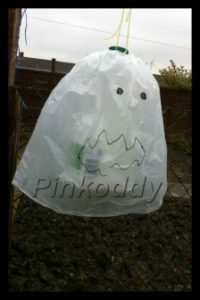 We made our own Halloween treat bags from just paper and odd bits – perfect for carry a few treats. Or why not make a sensory bin. Being a mother is hard work, we all know that. So why do we continuously put too many expectations on ourselves? Well I’m learning to let go of them a bit and focus on what’s important. Now that will mean different things to different people. For me I decided that spending quality time with my children is far more important than an immaculate house (in fact even if I had no children I just don’t think it’s in my nature to spend my life keeping a sparkling pin home, as I say we are all different). I know that right now the best thing I can do for my Sensory Seeker needs to help him develop is just play with him. On a Wednesday his brother goes to football club. In fact I think so do most of his friends. But I just don’t think it is fair on anyone that he goes because of his needs. To make up for him missing out on this I make sure we do something together. This week I had a nice sensory activity of salt dough lined up. This is something I have never done before and thought he’d appreciate it (I’d just need to watch that he did not put it in his mouth). But then I saw it THE CARDBOARD BOX. 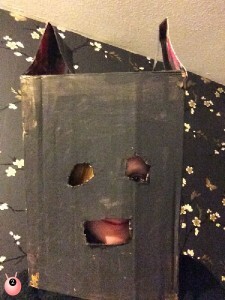 It just kind of screamed at me that it would make an AMAZING Batman mask! He is loving everything related to Superheroes and Villains. I popped it on my head and it was the perfect size. I simply cut out some cereal boxes for ears and stuck them on. Cut out holes for the eyes and mouth – and viola – it was ready for him to paint. One of his problems has been to develop his attention – how long he can sit at a task. Using something he is interested in has been a great way for helping with this. 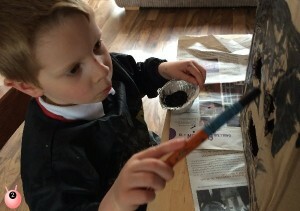 And he did, he sat and helped paint it all black (we were going for the Lego Batman look). 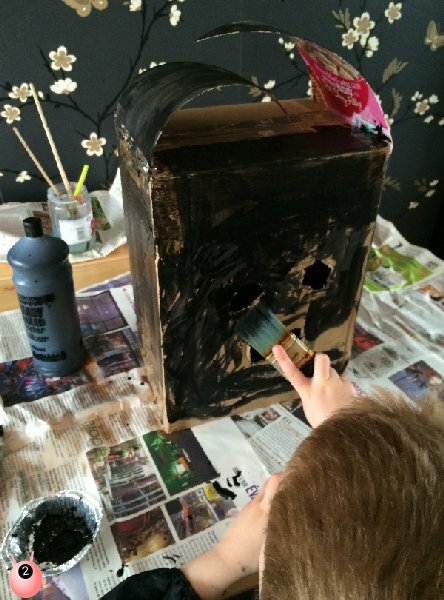 Also painting Batman was good for helping with his fine motor skills, his hyper-mobility in his hands, turn taking (with the brushes), his self-confidence, he knew to paint around the holes so developed his control, as well as learning that the bigger brush covered more of the box quicker. I learnt that if you add glue to the paint it will cover the tape! And you know it didn’t really look that good. But he was so pleased. And most importantly we had spent that time together. Oh and he argued it was his Batman mask when I put it on – so he must have liked it. 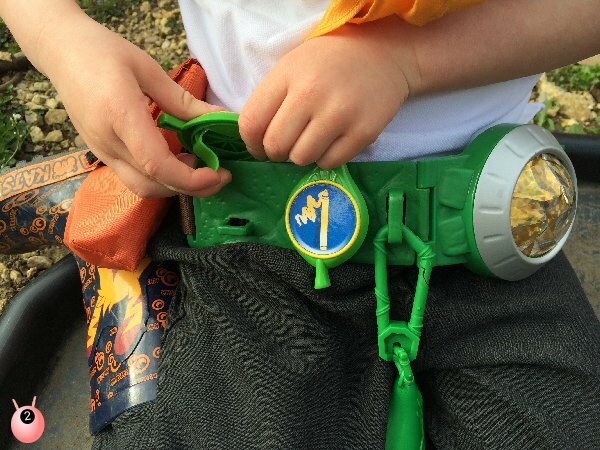 We love Tree Fu Tom in our house so were delighted to be about to review the Tree Fu Tom Ranger Utility Belt Set from Flair. 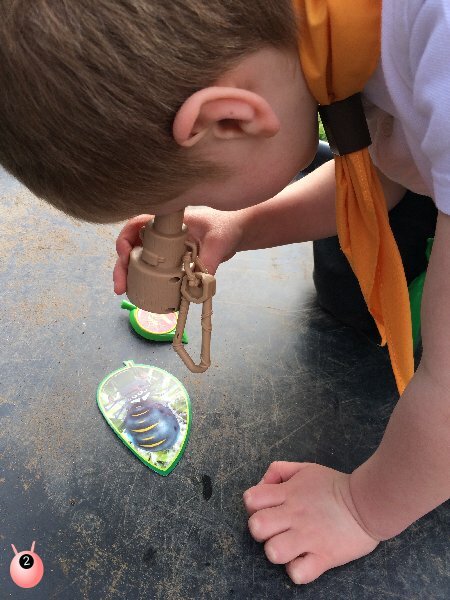 Two of our boys are in the Scouts (one is a Beaver Scout), but our Sensory Seeker (aged 4) is unlikely to be able to attend Beavers when he turns 6, due to his special needs. He of course wants to be doing what his brothers are up to. I think that this is one of the many reasons that he loved dressing up with the Ranger Utility Bet Set so much, as it comes complete with a scarf and woggle. There is a storage pouch where the Ranger cards and Ranger book can be stored. This can be threaded onto the adjustable belt. 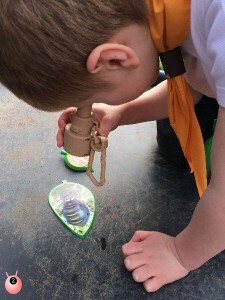 The utility belt has a rotating , reflector Sapstone too and spaces to clip on the Ranger badges, microscope and compass (the older brothers enjoyed explaining to their younger brother about the compass). The Ranger Utility Belt Set is aimed at those over the age of three years so that even young adventurers can have fun. Although I would say that even at its tightest the belt is fairly lose, and feels like it could do with tightening up a bit, but this does make it easier to spin it around. This is the perfect time of year for the Ranger Utility Belt set. There are many beautiful things in nature to go off to explore and observe under the microscope. 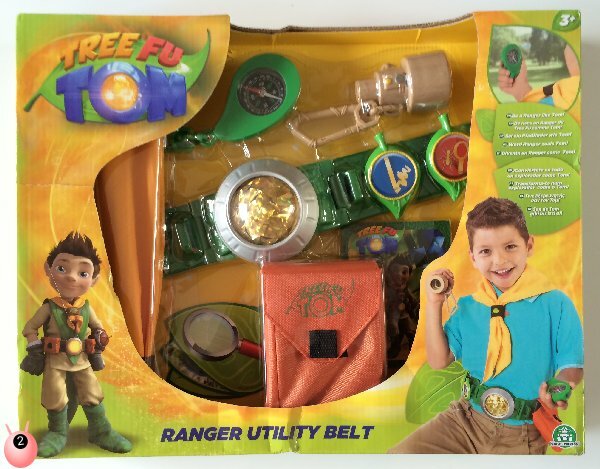 Of course the first place we went with the Tree Fu Tom Ranger Utility Belt on was into the back garden. It is inside a tree in Tom’s back garden where there is an enchanted kingdom called Treetopolis. We were looking for Tom’s best friend and side-kick Twigs, (a silly and energetic acorn-sprite), and his other friends the Treelings. We soon found Squirmtum, who is an odd-job woodlouse with a heart of gold. Our Sensory Seeker excitedly told me that Squirmtum looked the same as on his Ranger card. 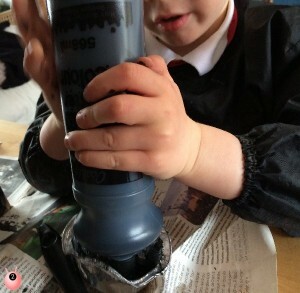 Our Sensory Seeker enjoyed looking through his microscope, telling me that it made things bigger. We did not find the other Treelings – Ariela (a beautiful but rough-and-tumble ranch-running butterfly); Treetog ((a Tree Fu Master and wise teacher), or Zigzoo, (a bubbly, eccentric tree frog inventor). 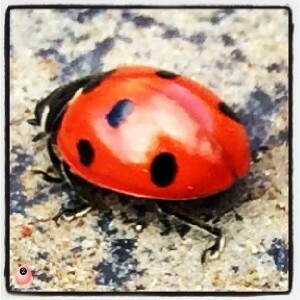 However, we did find a ladybird. Our Sensory Seeker was so excited that after dinner we all decided to go off and try to find some frog spawn. 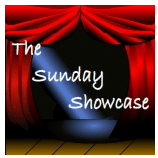 We were unsuccessful but are going to look again at the weekend (when the sun is up). 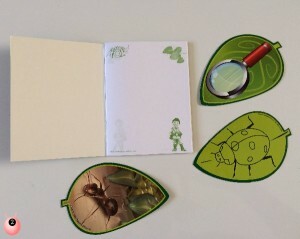 Then we can utilise the microscope and record what we see in the Ranger book. Our Sensory Seeker has problems with his gross motor skills. 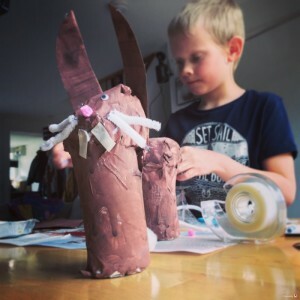 He is currently seeing the occupational therapist at school for this (the fizzy programme I believe) but we like to help him develop at home as much as we can. 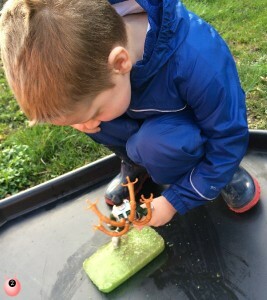 What we liked about Tree Fu Tom is that it gives him Sensory rewards for making movements. The Tree Fu Spells were designed with children with Dyspraxia, and other movement difficulties and disorders, in mind. 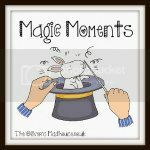 The spells encourage and guide children to teach and practise the movements in many of the key areas needed for everyday activities. This can then benefit them in areas such as eating, dressing, writing, sports, games and so on. Tree Fu Tom is aimed at children who are developmentally at an important time for their growth. This belt was particularly good for our Sensory Seeker to help with his hand development – having to squeeze the clips and badges to get them on and off the belt. I think this is beneficial as the occupational therapist feels he has hypermobile hands. 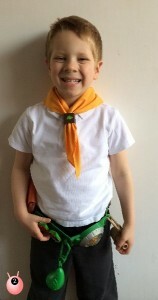 Tree Fu Tom is developmentally in other ways (for children with or without Special needs). Tom is a born leader using his Big World Magic to save the day against impending disasters, whilst up against the mischievous Mushas (siblings Stink and Puffy, the foolish fungi). Making the audience Superheroes as they help with the magic is very empowering, good for their confidence and helping to boost self-esteem. The lessons in friendship are good for social and emotional development. I was sent a free Tree Fu Tom Ranger Utility Belt Set from Flair for purposes of review. They are available from Smyths Toys. All words and opinions are my own. 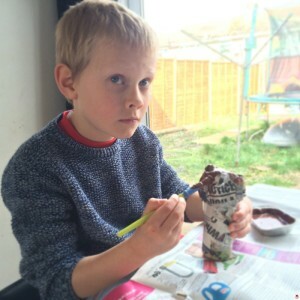 I do find that if my son has plenty of opportunities to fulfil his sensory needs throughout the day, it places him in a better mood and helps him sleep at night. The best way to get and keep his attention is to utilise his interests. Currently he is loving Superheroes and Villains, and we recently made a Batcave and dressed up. I got the idea for Kryptonite Sensory Play from an idea we used at Halloween with frozen spiders. 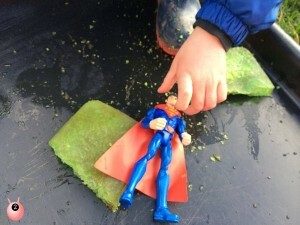 I knew that my son would love just a frozen lump of green coloured water labelled as Kryptonite. 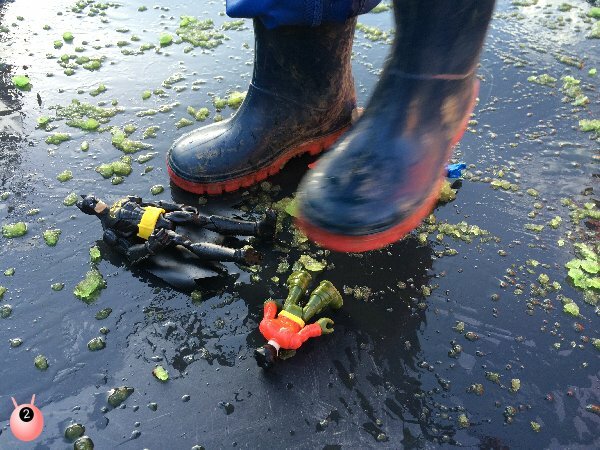 I like how quickly water freezes too, if he mentions that he’d like to do Kryptonite Sensory play in the morning I can have a block made up for when he gets home from school. The sun has begun to shine more lately, and I knew that the Kryptonite Sensory Play would be ideal outside (if not I would have done it in a nice warm bath). Coupled with one of his favourite superheroes (Superman) and villain (Doctor Octopus) he set to work on destroying the Kryptonite. First he bashed it with his characters and noticed that it went all slushy. 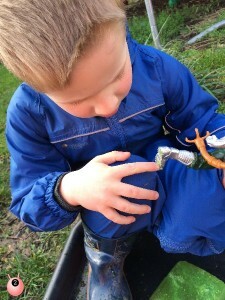 He loved the Sensory feel when touching it on the bottom of Doctor Octopus’ feet. 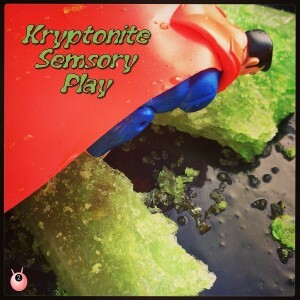 I liked how not only did he get his sensory needs met, but it really helped his speech and language, as he tried to explain to me what was happening to the Kryptonite. 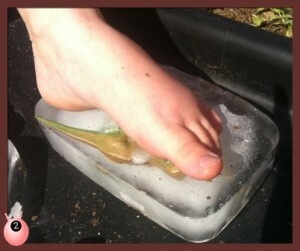 And after he bashed it with his characters, and had a feel of the coldness (he loves cold), he then decided to use his feet. And he stamped and he stamped and he stamped. Until the Kryptonite was no more. 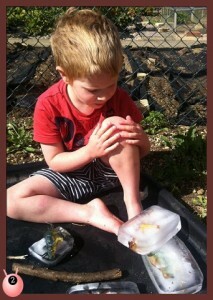 This was great for his proprioception, as well as learning a bit about the science behind the ice breaking up. I am hoping that as we play this game more and more it will develop. Maybe using the characters more to tell a story. 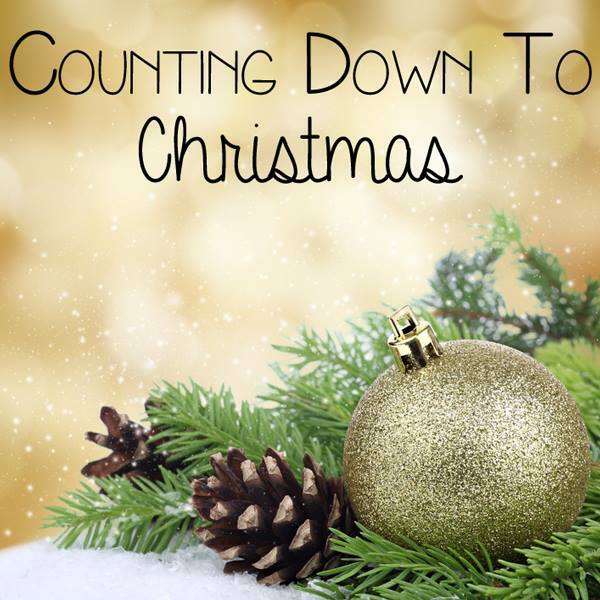 With half term just around the corner you may be thinking about what to do with the children. A theme park is a good idea for Sensory Seekers that like all that movement, smells, textures, visual images etc; but sometimes it is all too much, or too much for other people (strangers do not tend to warm to a child they do not know trying to touch them, never mind punching). 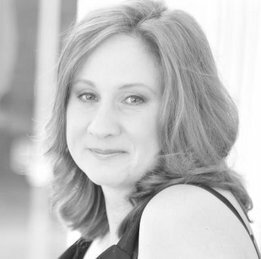 It is for this reason that it is well worth checking the websites to consider what the disability access policies are. This may include proof of disability (and what documentation), any discounts for entrance (and/or any carers), car parking facilities, and special access to the rides. There are many reasons that disability access may be required, but there have been many people taking advantage of this, and things are changing. Make sure you are clear before you leave. I think that the Merlin Group are top notch when it comes to providing good disability access. 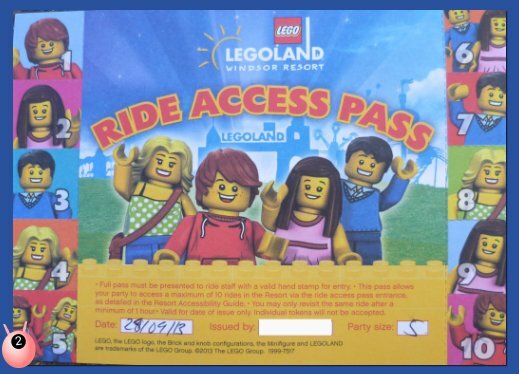 When a Merlin annual pass is purchased, and proof of disability is shown, then a complimentary carer’s pass will be issued on the first visit. It is transferable between carers, but cannot be used without the disabled person. Proof is considered as Disability Living Allowance (DLA),Orange/Blue badge or a letter from the GP (with photographic proof). Legoland Windsor was the first place we had heard of that had good disability access. We went with ASDfriendly, an Autism support online forum, and it is here we first discovered that a day out with a disability could still be fun. Loop System for hearing impaired. Some staff who can speak sign language (look for the word ‘sign’ on their badge). Assistance dogs welcome; but they cannot ride and must remain with someone at all times. Designated disabled car parking for disability badge holders (parking charges still apply). Wheelchair accessible restaurants & shops. Plenty of resting areas throughout the park. Awareness band (to alert staff that extra assistance may be required). Photo evidence is required, we took a passport. At least one helper is essential, and has to be over the age of 14, or over 16 if the disabled person does not meet the height restriction. Up to 3 carers are allowed with the disabled person and can be rotated. Wheelchair users do not require a ride access pass. 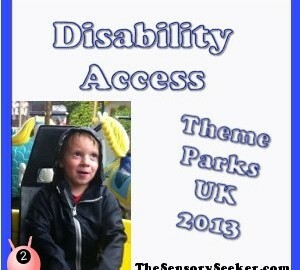 THORPEPARK‘s disability access makes it fair on all ride users by issuing disabled ride user a card. When the card is presented at the exit a time is given that you can come back, as if you were queuing, but without having to physically stand in a queue. We saw this on the big rides at Disneyland Paris too. 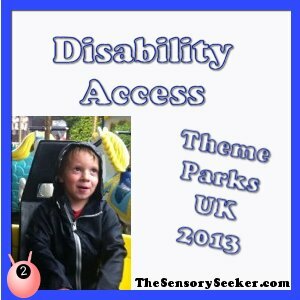 Note we did not use their Disability help as we were given FastPasses so for further information on Disability access at THORPEPARK please see this post by My Life My Son My Way. To avoid discrimination the entry price was the same for disabled as non-disabled visitors. To be fair I think a lot of Paultons Park is the magic of Peppa Pig World, and a lot of that can be soaked up without even setting foot on a ride. They have a Queue Assist Scheme, with which they DID accept a Disability Living Allowance letter and gave our disabled son a wrist band and card – which allowed up to 3 carers (note some rides had different rules on carer ratios and the disabled person always had to go on the ride). The card allowed him to go on each ride once, and was hole-punched as he did. This means that if he wanted to go on the same ride twice he had to then queue. We were fortunate that our son was okay with this but know how those with Autism could get quite obsessive about a ride and then have a meltdown for not being able to go back on as they are unable to queue. I do understand that lines need to be drawn though as many young children find it hard to queue without seeing someone go on the same ride more than once without the need for queuing. At Flamingoland there is a discounted admission price of £20 each, for a disabled person and their carer (total £40 instead of £60). With proof of disability (DLA accepted, but photographic proof needed) a wrist band can be obtained, to allow riders to avoid the queue, and go through the exit (with a maximum of 2 carers). When we went we were told that if the disability was physically obvious, then they would not require further “proof”. This is not a sponsored post. 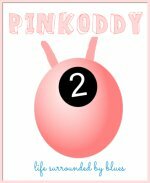 I was, however, given complimentary tickets in return for reviews on Pinkoddy’s blog. All thoughts and opinions are my own. I discovered a great way to make sensory play perfect for my little seeker, with dinosaur ice age play. My son has Global Developmental Delay. 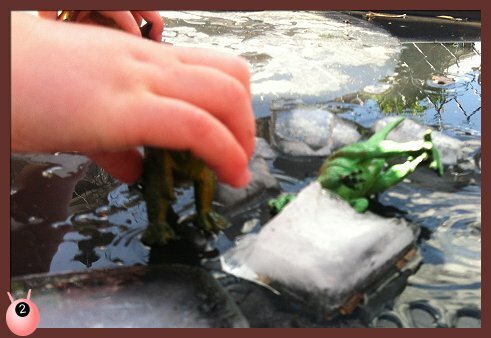 He is behind his peers in many areas, so I liked how the dinosaur ice age play really helped him develop. The school have suggested that he has visual aids to help with his communication. 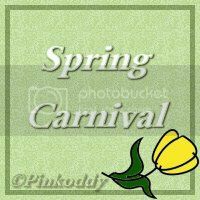 They have asked me for input on words/pictures. I really have no clue of what to suggest, all I can think of is maybe a PE bag, a book, paint, so possibly he could show me what he has done that day at school? I do know that play is key to learning, but he has always had a very limited attention span. But I am pleased to say that this is growing in duration, and this was really demonstrated during the dinosaur ice age play. Dinosaurs are a firm favourite in this house (see my birthday party) and I have a dinosaur board on pinterest. 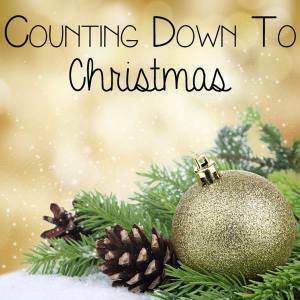 Whilst pinning I have seen this activity come up time and time again. I do not know who had the original idea to give them credit, but please do see my board for where I was inspired from. It really is simple to create. 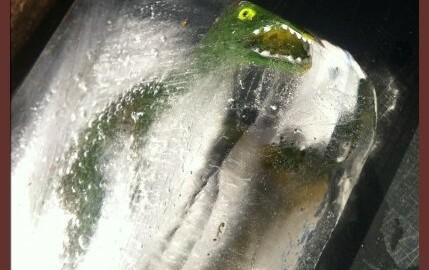 Put the dinosaurs in the freezer with some water, take them out and then let your child play with them. 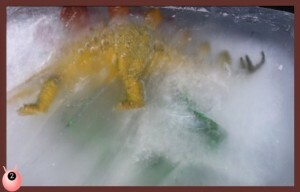 They can smash them open and see how long it takes to get to the dinosaurs out, or wait until the water defrosts. 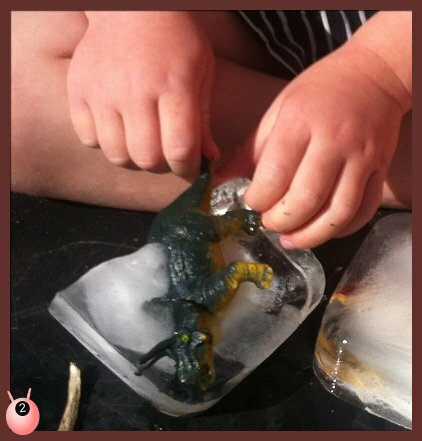 Viola Sensory play dinosaur ice age. We bought a tuff spot (thank you to TheBoyandMe for helping me find one on Amazon) these are brilliant and it was ideal to just sit him in the garden to play. You could try different methods of getting to the dinosaurs. 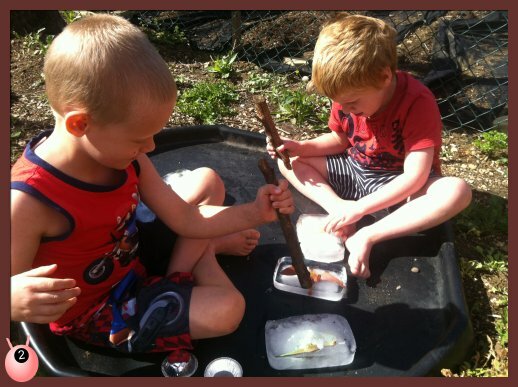 His brother also joined in the play with him and they used sticks, bashed and smashed the blocks of ice containing the dinosaurs. I think there may have been some licking involved too (what else would you expect from my sensory seeker!). He also tried pulling the dinosaurs out of the frozen blocks, which I think was great for his hand manipulation (he is hyper-mobile in his hands). 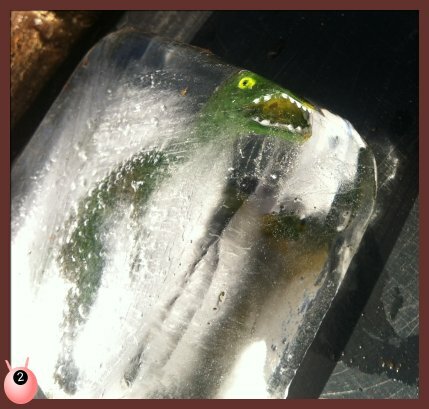 Dinosaur Ice Age Sensory Play was great for language development as we talked as we played: He told me it was cold – how clever is that! Then once we had got to the dinosaurs there was time for pretending they were real, and making up little stories. 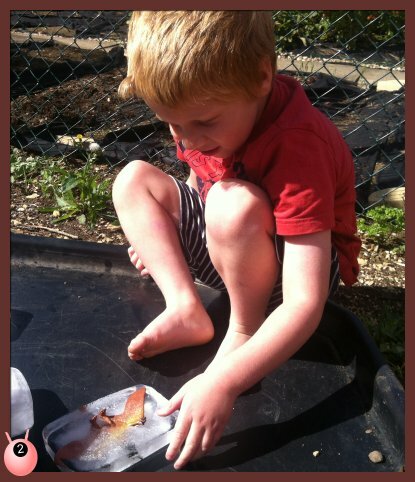 Of course it also helped him meet some of his sensory seeking needs – especially the tactile ones. 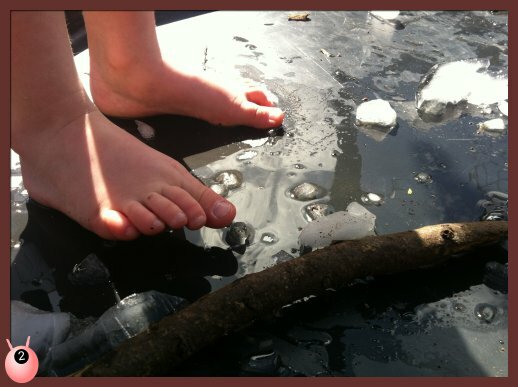 He loved the feel of rubbing his feet on the cold blocks, and when they started to melt, spreading the icy water up his legs. He loved playing with the dinosaurs in the ice and then paddling in the defrosted water – feeling all those lovely sensations. 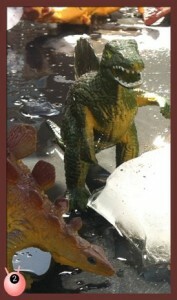 But what I most loved about the dinosaur play was the length of time he was able to engage with the activity. I am sure it really helped him with his development. I think next time I may add some colour to the water too. Or may be some extra things like rice to give it more texture.